Avengers assemble! Let Earth's Mightiest Heroes store your odds and ends with these amazing tin totes. 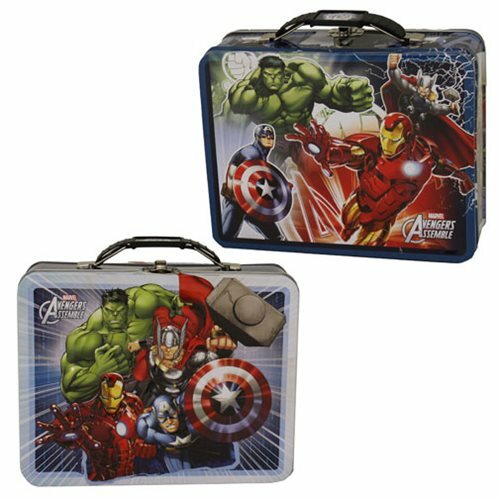 The Marvel Avengers Large Carry All Embossed Tin Lunch Box Set contains 2 individually packaged tin totes. There are 2 different designs! Measures about 7 5/8-inches wide x 6-inches tall x 2 3/4-inches long.